RS-232C, DTE 9-pin, 1200 to 230400 baud (RS-232C to USB cable available to connect the meter to a PC USB port) IEEE 488.2. LAN and “Ethernet 10/100BASE-T with DHCP (for IP address) option”. 2 Inputs beyond ±14 V are clamped through 200 kΩ typical. 10 MΩ is default input impedance. AC Voltage specifications are for AC sinewave signals >5% of range. For inputs from 1% to 5% of range and <50 kHz, add an additional error of 0.1% of range, and for 50 kHz to 100 kHz, add 0.13% of range. 3 Typically 30% reading error at 1 MHz. 4 1000 V range is limited to 8 × 107 Volt-Hertz. 5 Part of 10 A range. 6 Available on the front-panel terminal only. 7 400 mA continuously; 550 mA for 2 minutes on, 1 minute off. 8 Available at front-panel connectors only. 9 400 mA continuously; 550 mA for 2 minutes on, 1 minute off; maximum crest factor 3:1 at 400 mA. 11 Input >100 mV. 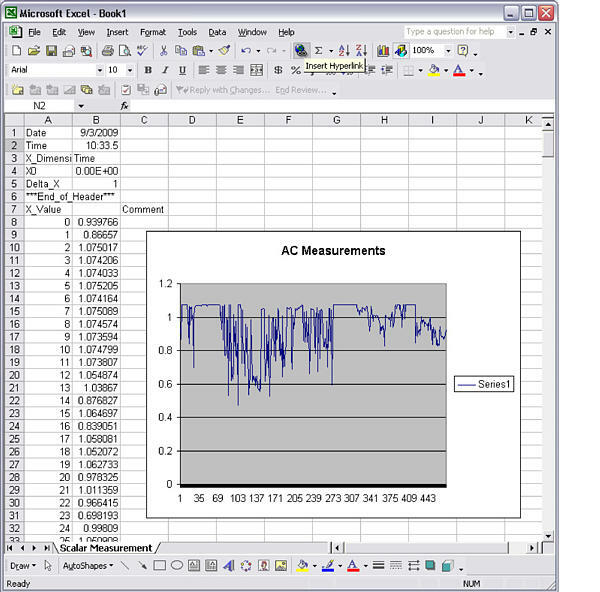 For 10 - 100 mV, multiply percent measurement error by 10. Error stated as percent of measurement for inputs >100 mV. For 10 - 100 mV, multiply percent by 10. 12 Stated accuracy is attained when Zero function is used. Accuracy is stated as ± °C and is based on a Platinum RT100 (DIN IEC 751, 385 type) RTD with less than 10 Ω lead resistance. The accuracy listed in the table below are valid only when using the 4-wire RTD measurement function. Specifications do not include probe accuracy, which must be added. 13 Typical measurement rates with auto-zero off, delay = 0, display off, auto range off and math off. 14 Maximum measurement rates for 0.01% of AC step. When DC input varies, additional settling delay is required. 15 For remote operation or external trigger using default settling delay. 16 Note that the measurement rates for RS232 can vary depending on the baud rate chosen. If the baud rate selected is 115,200, the maximum measurement rate is 711 measurements. The LAN bus has a maximum measurement rate of 963 measurements. DMM4050/4040 Includes: Meter, TL710 Test Leads, Line Cord, Calibration Certificate, Calibration Data Report, Safety and Installation Instructions including Warranty Statement, CD-ROM with User Manual (English, French, Italian, German, Spanish, Simplified Chinese, Traditional Chinese, Korean, Russian, Japanese) and Connectivity Information, RS-232 to USB Adapter Cable, National Instruments LabVIEW SignalExpress™ Tektronix Edition Limited Edition Software. Please specify power plug when ordering. *17 Test Leads and accessories are not covered by the DMM warranty and Service Offerings. 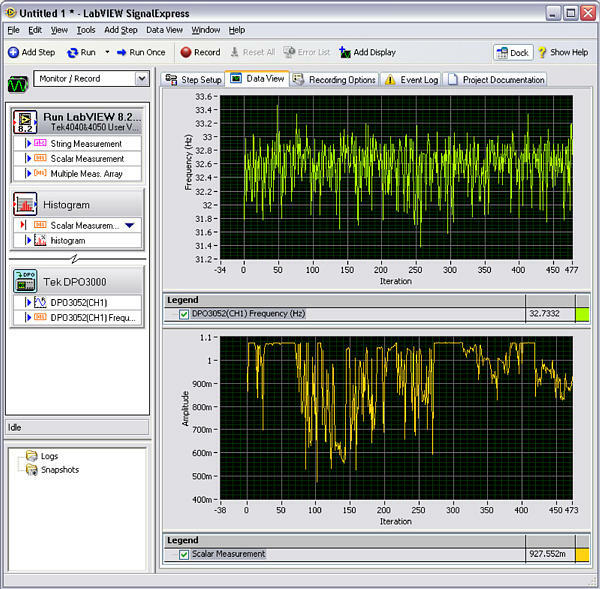 Refer to the datasheet of each Test Lead and accessory model for its unique warranty and calibration terms.